As a Virtual PA, I get asked for advice on how to use or do a simple function within a Microsoft package, today I have been asked how do I copy a formula in excel. For those of us who use the software all the time, it is almost second nature and can be difficult to explain. Nevertheless, some people don’t use Microsoft packages daily and need a little more help. Most Virtual PAs ask you to send the document to them so they can do the work for you. 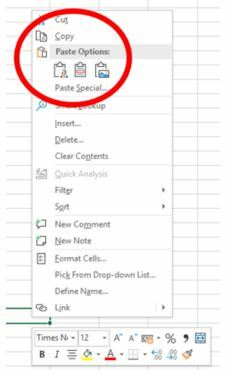 Therefor, today I will be explaining how to copy a formula in excel from one cell to another. Any experienced Virtual PA will be able to do this for you in about 15 seconds. This would include opening the document, making the change, and then saving and returning the document to you. This does not, however, teach you how to do the task yourself and can cause hours of distress and frustration. How do I copy a formula in Excel from one cell to another? 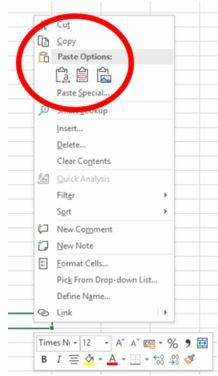 Open the Excel Document and locate the cell with the formula. A cell is an individual area on an excel sheet, a square, highlighted in the table below. From this image below we have highlighted cell A1. In an Excel document, you will have a Workbook, a Sheet, Columns, and Rows. A cell is contained in a workbook, which is on a sheet that is located in one column and one row. Select the cell you want to copy – A1 for example. 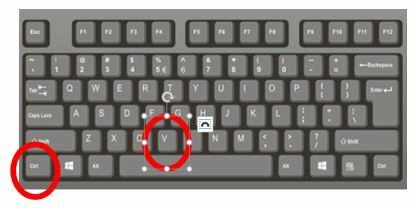 On your keyboard select CTRL button and C at the same time, see the image below. Move the cursor to the cell you wish to put the formula. On your keyboard select CTRL button and V.
You have now copied the sum/formula you wanted. A Sheet Within the document you can have some sheets. Look at the bottom left of your workbook; you will see the word Sheet1. This is your first sheet. To add a new Sheet select the + button to the right. A column A column is the vertical lines in the workbook and are annotated with Letters. A Row A row is the horizontal lines in the workbook and are annotated with numbers.